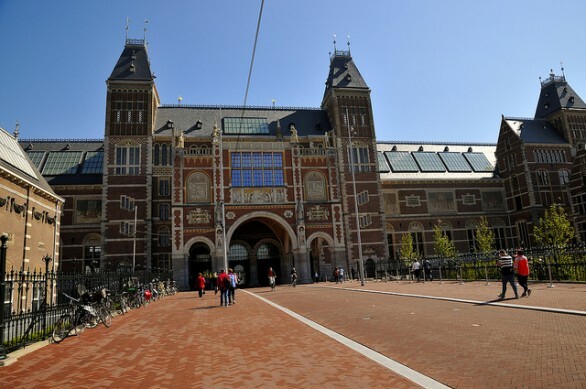 Ancora una novità al Rijksmuseum di Amsterdam, che dopo aver riaperto le porte dell’edificio centrale del museo lo scorso aprile a seguito di una ristrutturazione durata quasi dieci anni, riapre i suoi nuovi giardini con una mostra dedicata alle sculture dell'artista britannico Henry Moore. The exhibition marks the opening of the Rijksmuseum's new 'outdoor gallery' comprising an area of 14,500m2. Copijn Tuin- en Landschapsarchitecten took architect Pierre Cuypers' original plan for the gardens of 1901 as their starting point for the new design. The gardens include many original features including sculptures, ponds and lawns to which a number of new elements have been added, such as architect Aldo van Eyck's post-war playground equipment from Amsterdam Nieuw-West and a 19th-century greenhouse with heirloom vegetables. A water maze has also been created based on a design by Danish sculptor and installation artist Jeppe Hein. È anche possibile partecipare a dei tour guidati per scoprire le sculture di Moore e i giardini.